“Martial arts” is a pretty broad qualifier, as far as film genres go—we’re talking samurai (chambara) films and pulpy kung-fu dubs, modern historical epics and blockbuster videogame fodder alike. Which is why we’ve found the best of the best streaming on Netflix and have ranked them here, all with the hope that you’ll like what you see and really seek out some deep-cut classics when you next peruse your local indie film store. With that said … since the last time we compiled this list in 2015, Netflix has seemingly gone out of its way to purge practically every classic martial arts film from its streaming library, but don’t worry—they replaced them with the likes of Lady Bloodfight and My Wife is a Gangster 3. Yes, those are real movie titles, and yes, they are indeed streaming on Netflix right now. It’s bad news if you were a fan of old-school kung fu, as the Shaw Brothers-type films were purged badly—we’ve also lost the likes of the original Crouching Tiger, Hidden Dragon, and even Quentin Tarantino’s Kill Bill. They’ve been replaced by a lot of low-budget, Scott Adkins-headlined modern actioners in the vein of the Undisputed series, which leaves us asking absurd questions like “Does Lethal Weapon 4 count because of the Jet Li scenes?” But still, there are a few gems here on Netflix streaming, largely in the wuxia and modern action subgenres … plus a whole lot of Donnie Yen. 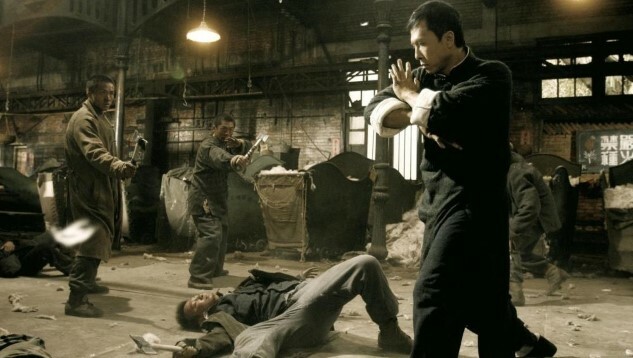 Here are the 10 best martial arts movies streaming on Netflix right now.